As I read through the proposed changes to CLIA’s proficiency testing criteria, I am reminded of the 1929 painting, La Trahison des images (“The Tyranny of Images”), by Rene Magritte. 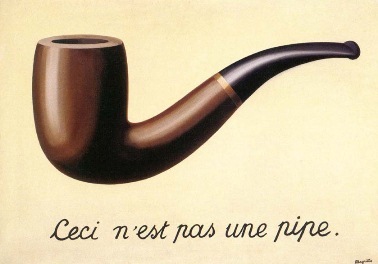 The famous Surrealist painted a pipe along with the words, “Ceci n’est pas une pipe” (“This is not a pipe”). In other words, here are the new goals for proficiency testing. They are not acceptability criteria for verification or performance specifications for laboratories. That begs the question, what are they? The goals that aren’t goals? I am sympathetic to the plight of the regulator. If the new goals are used as performance specifications, they will have a significant impact to laboratories and the marketplace. The new tightened goals, if used to determine Sigma-metrics, or used to set individual performance specifications, or used to set performance goals for new instruments, will create new winners and losers in the diagnostic space. Given the time we are in, regulators are understandably reluctant to be seen as interfering with the free functioning of the marketplace. Further, if these new goals are usedr as individual laboratory performance specifications, and if this causes many laboratories to reject methods, or declare more runs out-of-control, or even worse, fail PT more often, there will be fewer laboratories that can continue to run tests. This plight is not unique to laboratory regulation. James Reason, the safety expert, has described what is called “The Regulator’s Dilemma”: regulators, as tough as they may pretend they are, ultimately are invested in the viability of the industry they regulate. Simply put, inspectors cannot destroy the industry that they inspect. If , because of much tighter goals, CMS/CLIA inspectors shut down a large number of laboratories the disruption to healthcare would potentially be catastrophic, and even if patients weren’t denied care, the regulatory actions would draw significant ire, protest and lobbying. Therefore, inspectors need regulations that are tight enough to eliminate a certain percentage of “bad” laboratories, but they have to allow the vast majority of labs to stay in business. Thus, the goals being proposed are trying to keep 98-99% of laboratories in compliance, and at most, trying to reject about 1-2 % of the current performing laboratories. Hardly a radical improvement. The expansion of regulated analytes and the tightening of goals merely keeps CLIA relevant, rather than antiquated, in the realm of laboratory testing. The biological variability-based goals to which CLIA refers are goals explicitly meant to be performance specifications for laboratories, and are used as such worldwide. If CMS/CLIA are aligning the CLIA goals with biological goals, they are making these PT goals closer to “real” performance specifications. Clearly, the “this goal is not a goal” statement is absurd on its face, a regulatory sleight of hand, and an abdication of responsibility by CMS. They want to regulate labs, but not regulate the analytical performance of labs. Really? Isn’t providing analytically reliable test results that the primary reason we have labs in the first place? Not to move specimens around, but to test them and, to produce results that are accurate and appropriate for patient care. We see a lot of regulations surrounding analytical quality, but there seems ot be a failure of will to truly set a benchmark for the quality of the core competency of the laboratory. A valid argument against a direct imposition of performance specifications is that every laboratory should establish their own individual goals. Every laboratory has their own unique patient population, clinical needs, interpretative needs, etc. It’s not really possible to create a single, top-down set of performance specifications that is appropriate for all laboratories and all clinical care situations. So each laboratory should make their own choice. In practice, however, labs don’t engage in circumspection and meditation to generate their own specific goals for targets for quality. They adopt recommendations from the scientific literature and regulatory/accreditation requirements, such as the CLIA PT goals. someone else’s goals, Tand the fact that they are judged by the CLIA PT goals makes those goals the most relevant performance specifications to use for laboratory testing in the US.on their testing. Regardless of the semantics and intention of the new proposed goals for CLIA, the reality is that, “if it looks like goal, smells like goals, is used by inspectors like a goal: IT’S A GOAL”. Just as the CLIA goals of 1992 were adopted as analytical performance specifications for laboratories throughout the country and even worldwide, the ultimate use of these new CLIA goals will be as validation and verification goals and as individual performance specifications, in addition to their official designated purpose as PT scoring goals. The committees may not have intended the new Acceptance Limits to be used for other purposes, but they would be naïve to believe that they won’t be used in this way. A goal by any other name, by any other intention, is still a goal.